Pre-order the album and get it signed by Fred and Chistopher. 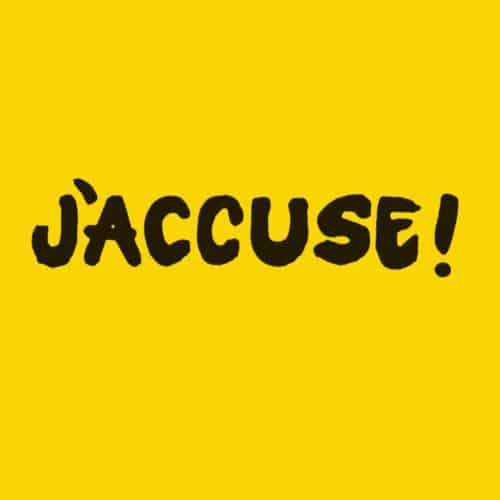 J'Accuse is the brand new album from Jack Adaptor. Twenty years after the demise of independent rock favourites The Family Cat, singer and lyricist Paul “Fred” Frederick returns with a new record as Jack Adaptor, a duo with songwriting partner Christopher Cordoba. Fans of the Family Cat will recognize the vocal style and find joy in the sophisticated songwriting of Frederick and Cordoba, from up-tempo indie rockers like “Number One Record” (a tribute to Alex Chilton and Big Star) to atmospheric, genre-defying songs such as “V.U.” (check out the unpeeled banana!). Fred wrote the lyrics and sings the songs, while Cordoba provides most of the instruments, production and mixing skills. Fred refers to this record as “a distillation of 20 years thinking about music and the kind of record I really wanted to make. Now I feel I really have something to say and the musicians to give it life”.